Mobile gaming is sadly not given the credit it deserves. However, this stereotype is being proven wrong after a long time. Mobile processors are actually gaining 20-50% in performance nearly every year. This is exceptional growth for these devices. This is why we are seeing more graphically intensive games running smoothly on the mobile platform. But of course, the bigger the screen the better the enjoyment. Tablets are sadly becoming less popular these days as they can’t really replace full-fledged laptops yet. Still, for portable gaming, tablets are still a viable option as they have great battery life and decent performance. This is what gave birth to a lot of capable tablets that could run a lot of titles very well and this is actually what encouraged more developers to expand the mobile gaming library, and in the revolution of gaming-oriented tablets, it can be quiet a daunting task to pick up the best because of the wide variety of products available in the market to choose from but fret not, as this article is going to help you make the perfect purchase decision for all of your portable gaming needs! Huawei has not been disappointing lately with their impressive hardware that is priced competitively most of the time. The MediaPad 5 follows the same idea. It’s not just the best tablet for gaming, it’s also the best android tablet out right now. A gorgeous display, blazing fast performance and plenty of storage coupled with great battery life make this the best Android tablet on the market right now. All of that at a very competitive price. What makes the MediaPad M5 stand out from the crowd? The first thing is the impressive all metal design. It truly separates itself from other midrange tablets as it has a premium look and feel to it. Another important feature that is often overlooked is the software. 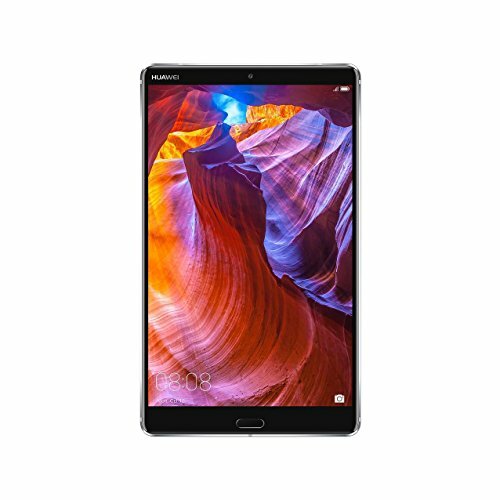 The MediaPad M5 is running Android 8.0 oreo straight out of the box, with 9.0 coming soon. This is incredibly satisfying because a lot of the Tablets on Android rarely get updates. But what makes it great for gaming? A whole lot of important details are present here. A beautiful 2560 x 1600 QHD display that is bright, saturated and sharp. It makes games look incredibly detailed and gives a colorful punch to everything on screen. Apart from that great battery life, excellent sound quality from the speakers and quick charging which charges it in just 2 hours, All of these come together to make the best Android tablet. One of the highlights here is also the performance. Huawei is using their own Kirin 960s processor paired with 4GB of RAM which absolutely crushes in the performance side. It can handle any game you throw at it even at that high resolution. One incredibly annoying aspect of this tablet is the lack of a headphone jack, which just sounds plain stupid to be absent on a tablet. Apart from that, for the price, this is an easy recommendation. 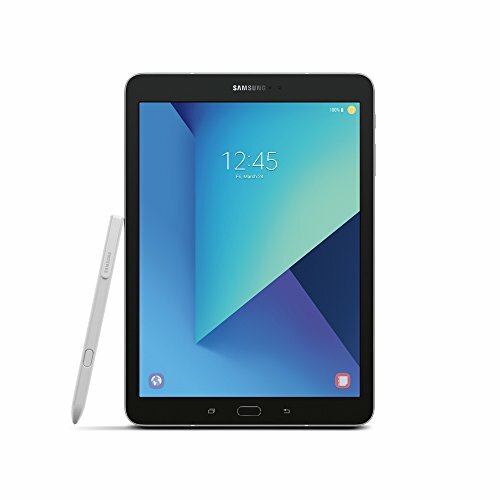 The Samsung Galaxy Tab S3 might not be the latest tablet from Samsung, but it’s a much more sensible purchase than their expensive Tab S4. The Tab S3 has that Super AMOLED display we’ve come to expect and adore from Samsung, along with good design, battery life, and performance. Despite the processor being an older Snapdragon 820, it’s still more than capable for 90% of games on the playstore. Starting off with design and build quality, the Tab S3 doesn’t fail to impress. It’s a super thin, featherweight tablet with glass on the back sandwiched by an aluminum frame. Although the tablet itself looks stunning and is really easy to carry around, the glass back is a fingerprint magnet and, as you’d expect, it’s very slippery. That makes this a very fragile tablet. The Tab S3 is a great tablet overall for any use case. It has great performance, great battery life and plenty of storage. Battery capacity is 6000mah here, a bit smaller than other competitors, but it will still give you an easy 4-5 hours of continuous gaming and in everyday tasks, it lasts a long time. There is also fast charging here which charges the tablet from 0-100 in just 2 hours, impressive for a tablet. But the real reason why the Tab S3 shines in gaming specifically is the Super AMOLED display. Samsung has the best in class displays when it comes to mobile devices and the Tab S3 is no exception. The screen is bright, colorful and has punchy saturation which makes games look incredibly detailed. The resolution is 1536 x 2048 which is more than sharp for gaming on a tablet. Combine the display with great performance, decent battery life and impressive speakers, the Tab S3 will satisfy your mobile gaming needs. The only complaints we have are Samsung’s heavy TouchWiz skin and the older processor. Still, the Snapdragon 820 is more than capable for most games and it easily has 3 more years in its lifespan. Apple’s iPad Pro is still one of the most complete packages you can get for a tablet. 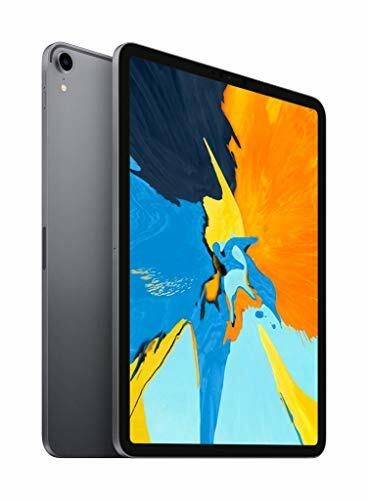 Since the start of the iPad product line, iPad’s have been the go-to machine for people who demand a lot of performance in a really compact and portable form factor. The new iPad Pro accomplishes that with ease. But, it’s gonna cost you a lot more than any other tablet out there. Not really much of a surprise. The iPad Pro has one key feature missing on any tablet. That just so happens to be in the screen. It’s one of the few near edge to edge screens with Face ID built in for unlocking it. The screen looks absolutely stunning at a resolution of 2388 x 1668. Its bright, color accurate and overall makes content look absolutely stunning. That’s not all, the exclusive feature this iPad has is a 120Hz display for high refresh rate gaming. This is something missing on even a lot of laptops so its surprising to see on a tablet. It definitely makes up for some smooth gaming. Apart from that, the great speakers and long lasting battery life make this an incredible tablet for anyone. The most impressive part is the performance. Apple’s A12X processor is the faster ARM-based processor out right now and the iPad Pro even crushes Apple’s own 12″ MacBook in performance. Pair that power with a fluid 120Hz display and you have the best gaming experience available on a tablet. With a lot of titles as well, a few of which are not even available on Android. Let us rephrase that. The best gaming experience on a tablet, which you’ll find difficult to afford. 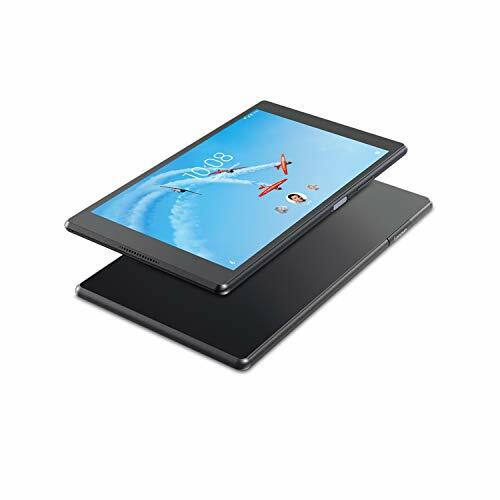 It’s incredibly expensive for a tablet and at this price point, you can easily get a full-fledged laptop which kind of defeats the purpose of buying a tablet in the first place. It’s frustrating to see such a great machine be so incredibly overpriced but it’s Apple and you pay what they ask. Also, no headphone jack here either. The Shield Tablet K1 from Nvidia is the one that popularized gaming on mobile devices as a whole. Thanks to its unique features and powerful Nvidia Tegra K1 processor, it accomplished things a lot of tablets couldn’t at the time, let alone at the original launch price. We haven’t heard from Nvidia much in the tablets department since this was launched in 2016. Even though its a much older device, the hardware still represents a decent budget option today. At launch, the Shield Tablet K1 was the most powerful tablet out on the market. Surprisingly the performance still holds up but the 2GB of RAM is a huge bottleneck. Nvidia is using their own processor, the Tegra X1. It’s not the most powerful chip available today but Nvidia makes up for this by using their own Kepler GPU. The same processor is actually used in the Nintendo switch. The performance would still blow anything out of the water if it wasn’t for that measly 2GB of RAM. As for the display, the resolution here is a bit low compared to others on the list only at 1920 x 1200. That’s also an LCD panel although it still looks decent enough for the 8″ form factor. The real highlight here is the gaming oriented features. First up are the great stereo speaker setup on the front and sides which throws out exceptional audio quality. Then there is full controller support with their Shield controller. This is widely supported in many games. We also have an HDMI port at the top for connecting it to a TV or secondary display. There are even a few Nvidia exclusive titles thrown in. Lenovo brings some attention back to the budget region of Android tablets. Their Tab 4 plus has a premium design and look to it. It’s also a decent performer for some lightweight gaming. The screen is a small 8 inches but looks fine for media consumption. Although this isn’t the most exciting tablet available today, it is still an excellent buy, especially at that low price. Lenovo brings incredible build quality and industrial design to the budget sector. The back is a single glass sheet surrounded by aluminum sides. The tablet has a premium feel to it. The screen on here is a fairly low resolution at 1920 x 1200. The panel is IPS and while it’s decent enough for everyday use it’s nothing impressive. The Snapdragon 625 in this slate makes it a very capable performer at a low price point. It can run most games at medium settings although the 3GB of RAM is a bit of bottleneck, especially in multitasking. It also has surprisingly decent speakers. Although the battery capacity may seem a bit low at 4,850mah, it’s perfectly fine for the small low-res display paired with the efficient chipset which has low power consumption. Overall, the Tab 4 plus is a pretty good tablet at a low price point. 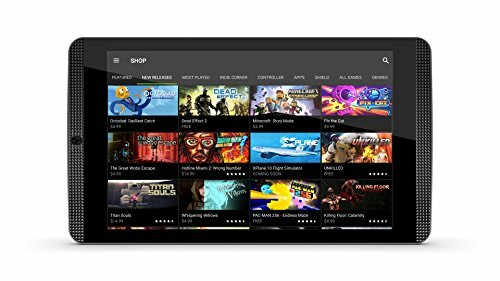 It doesn’t have any innovative or interesting features for gaming but it does not get better than this in the budget section of tablets. It also comes in a 4GB RAM variant for better multitasking.